Our Lubbock Kids Karate class educates children in traditional Shotokan karate with an emphasis on self-defense. 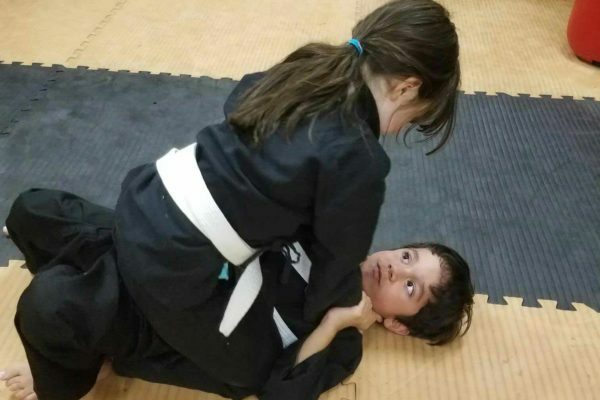 Children and teenagers will not only learn self-defense and respect, but will also acquire self-discipline, improve physical fitness and athletic abilities, and develop an aptitude for leadership. Shotokan karate has an inherent foundation in self-defense. At ArtFit, we insure that our students have the ability to translate what they learn into usable and practical self-defense. We attain this in a safe environment where children are taught the difference between aggression and defending themselves. They are instilled with self-discipline and are taught to only use their skills in Lubbock karate classes or in a situation where it is the only available option. Discipline is one of the most frequent reason that parents in Lubbock seek karate for their children. Kind, but firm discipline is taught everyday in ways that translate into good behavior and marked improvement in study practices and quality of school work. Children and adolescents who practice Martial Arts at ArtFit maintain higher grades and improve in test taking skills due to the natural focus and attention to detail that they learn to harness in a classes that they enjoy. They are also taught to respect parents and teachers as well as themselves through this process. Training in Shotokan kids karate builds fast reflexes and core strength that helps these kids increase their fitness level and excel in school athletics. Martial Arts works the entire body for comprehensive physical fitness that enables children and teens to gain control over their bodies and increase reaction time. This gives them a marked advantage in competitive athletics in the Lubbock Area. Football, basketball, volleyball, and most other sports all have core basics and required skills that are naturally enhanced by martial arts training.